Looking forward to this year’s Jazz Safari at the TD Toronto Jazz Festival. 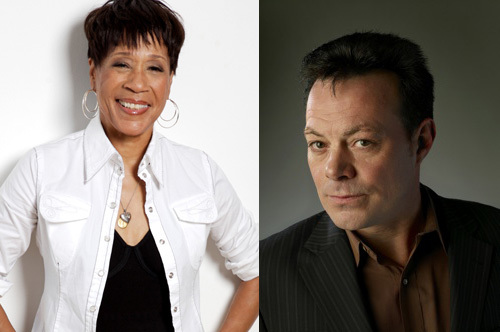 The TGG gang will be enjoying some world-class soul and blues from two of the top artists on the scene today, Bettye Lavette and the James Hunter Six. Both artists have previously appeared at the jazz festival and have made a lot of fans in Toronto. James Hunter is an Englishman who was inspired by recordings of Sam Cooke and Marvin Gaye and you can hear that influence in his voice. His crack band have been with him through years of non-stop touring around the world. After The James Hunter Six, the audience will be treated to a genuine “national treasure,” Bettye Lavette. She’s had a storied career with a lot of ups and downs (including the time Atlantic Records lost the masters to her album). But a few years ago she had a come-back that is bringing her to festival stages across the world including an appearance at the Kennedy Center Honors in 2008 as well as President Barack Obama’s Inaugural Celebration, singing “A Change Is Gonna Come”. With a career spanning 50 years that shows no signs of stopping, Bettye LaVette has done it all. A seasoned and masterful performer, her emotionally charged lyrics and impeccable delivery have captivated audiences worldwide. You’ll find us dancing the night away in one of the corporate boxes at the back of the tent.